Kingfishers farm was developed to provide a venue for the whole family. 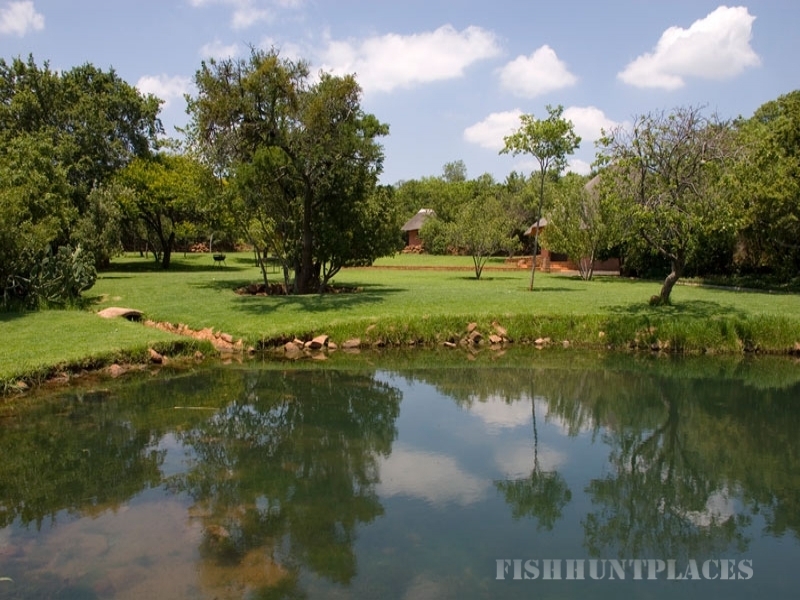 It is an ideal place to meet up with friends or family to fish, braai/picnic or just laze around the pool. The braai/picnic area is a park-like grassed area including a variety of shade-giving indigineous trees. The thatch lapa houses modern toilets and showers, and a kitchen with wash-up facilities and a kettle. A swimming pool and kiddies jungle-gym complete the area. For those wanting to stay over, we have self-containing chalets available. 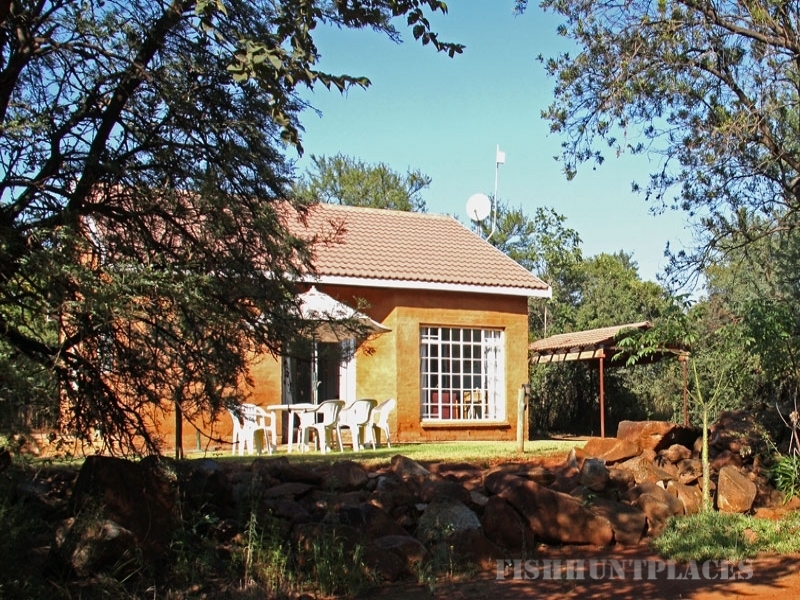 Situated 14 kilometers from Magaliesburg on the Rustenburg road, we are within easy reach of Johannesburg, Pretoria and Rustenburg. We have three dams. Adjoining the entertainment area is the “kiddies dam”. This is a perfect place to coach fishermen and fisherwomen of the future while giving them a hands-on opportunity to catch their own trout.The dam’s size and position allows constant surveillance by the youngster’s minders. We allow all angling methods in this dam. The other two dams are for more serious fishermen. Away from the “entertainment area” they are sited amongst the natural vegetation. The smaller of the two is an easily fished dam that will not provide too many hook-ups for the fairly inexperienced fly fishermen. For the more ambitious souls the bottom of the third and largest dam has been contoured so trout are fished for either with dry flies in the shallows or with sinking rigs in water up to 4 meters deep (and of course anything in-between). All three dams are well stocked in season with rainbow trout - the big dam also holds some nice brown trout. There will usually be someone on hand to give any advice, or help with fly fishing that may be required.